September is 'World Alzheimer's Awareness' month. 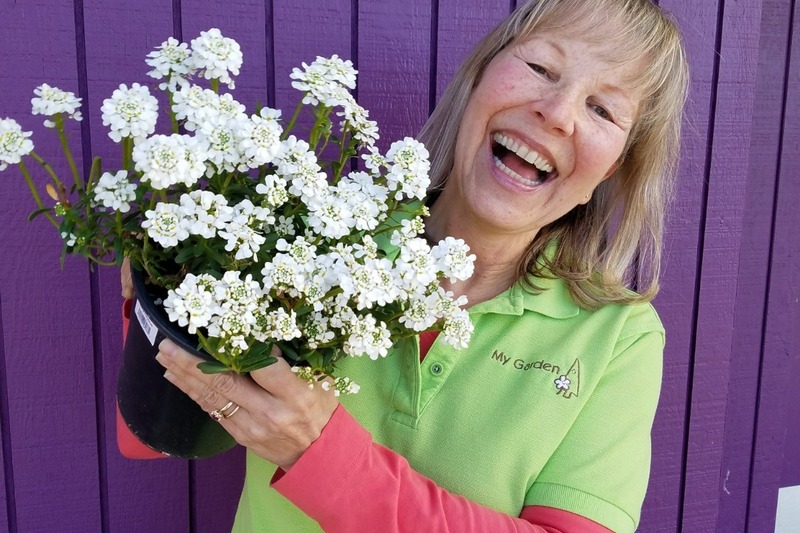 Owner and staff of My Garden Nursery are doing everything we can for the cause! PURPLE is to Alzheimer's what PINK is to breast cancer and so we are going all PURPLE for the month of September. We are asking our friends, family, customers, and even people we have never met to join us. When you make a donation, choose one of our names. 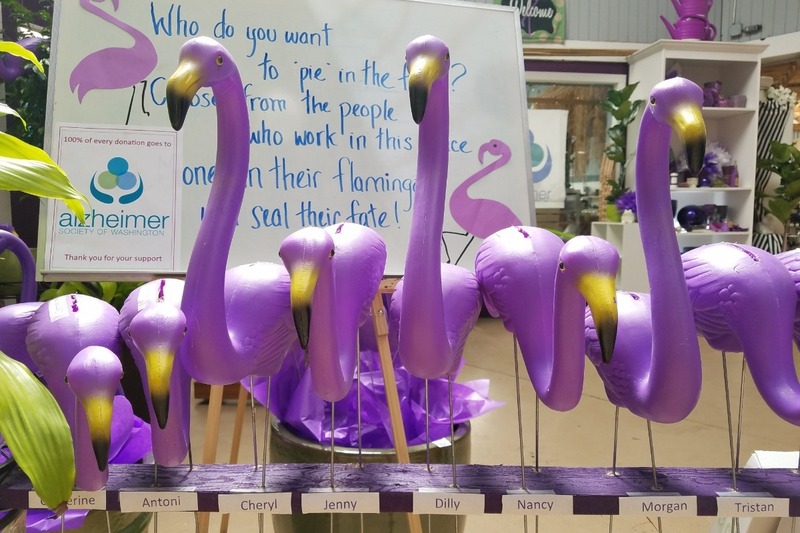 The one of us with the highest donations in our purple flamingo bank gets a PIE IN THE FACE!! Jenny, the owners mom and dad lived and died with Alzheimer's and that is why this cause is near and dear to our hearts. We have talked with many of our customers over the years have struggled with the same. Donations of any size are appreciated. 100% of the donations goes to the Alzheimer Society of Washington . We have raised several hundred dollars in the store so far and are trying to reach out to a wider community. To anyone who has ever loved someone with Alzheimer's or has been a friend to someone who has: Please take a minute and make a small or BIG donation. September is World Alzheimer's Awareness month. 100% of the donations goes to the Alzheimer Society of Washington.